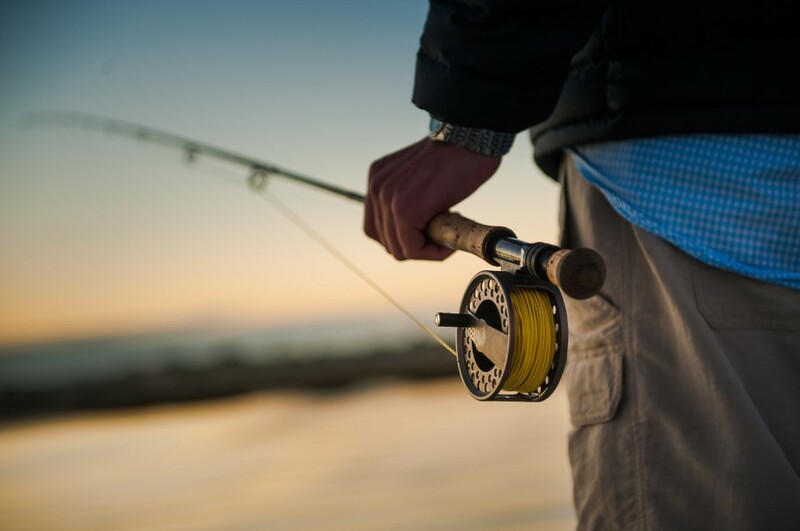 When it comes to choosing a fly fishing reel, their are pretty much endless options. This article is meant to help you know exactly what to consider when making your decision. If you are unsure of a lot of what is highlighted below, you should check out our post: Best Fly Rod and Reel Combos. These setups are versatile, inexpensive, high quality, and perfect for beginners or intermediate fly fisherman. As you are likely aware, fly lines, rods and reels come in different weights. These weights represent the capacity of the fly line. Heavier fly lines can be casted further, especially during high winds, and higher rod and reel weights can handle bigger fish. For this reason, selecting the right weight for your fishing needs can make your fishing experience more fun, as well as increase your odds of landing fish. Here’s a semi accurate idea of the rod weights per fish you are targeting. If you are using a 4 weight rod, your reel should be able to handle 4 weight line. If you already have a rod and line, make sure your reel can handle that weight and length of fly line and backing that you have for your setup. Every reel should come with information letting you know how much line of each weight and how much backing it can handle. Drag systems aren’t as important on smaller fish, but as soon as you get into some hard fighting fish, having the right drag system is crucial for landing the fish of your dreams. Click and pawl drag systems are often considered the vintage fly reels. Old timers and new timers love the different pitches reels make as fish pull out drag on these systems. Many anglers will tell you that for hard fighting fish, particularly salt water fish, disc drag systems are the way to go. Disc drag systems allow anglers to more easily apply extra drag with their palms, and they provide more even drag throughout the pull of the fish. With this being said, click and pawl reels have been used since for many years, and are still used today by anglers to catch big fish. If you are looking to target trout or other small freshwater species, click and pawl systems will cause you no issues. Click and Pawl systems tend to be slightly less expensive. Disc drag is often considered the superior drag system due to the even drag, easy of applying extra drag with your palm, and the reliability (though i’ve never had a click and pawl system fail on me). Most reels of this type silently apply drag, some anglers love this stealth, while others miss that classic sound. Some reels have mechanical systems to add a drag sound. Are you looking to use one reel for lots of situations and fishing? Do you have a bass reel, a small trout reel, and a bonefish reel? When purchasing your reel, you need to know what fish/size of fish you plan on targeting with that reel. The truth is, either drag system will cause no issues with these fish. You’ll likely want to stay below a 6 weight rod for these types of fish as the fight is much more fun on a lighter weight rod. Small trout fishing is often the most fun on 1-3 weight rods, while bass, pickerel and smaller pike are fantastic on 4-6 weight rods. The fish in this group are a little larger and more powerful. Many anglers will suggest going to a disc drag system. You likely can get away with either system without issue, though you never want to loose the fish of a lifetime because of faulty equipment. Here you are talking about 4-7 weight rods. This is where drag becomes crucial. A Bonefish can take a low drag rod for a ride, then rip the line right off of it. Beware. Going for salmon? Same deal here. Your safest bet is a high quality disc drag system, and high weight rods. 7+ depending on the targeted fish and locations. Keep in mind casting from shore often involves heavy wind, where having a heavy 7-9 weight line helps a lot with casting into the wind. What is Your Current Rod Setup? If you have a 6 weight rod, and you need a reel for that, you should probably get a 6 weight reel. You can get away with going up or down 1 weight, but you are likely going to see a lack of balance and performance when doing so. Certain reels will match up nicely with rods. This is why you often see rod and reel setups sold together. If you already have a rod, you may want to read reviews to see how a real balances with the rod you own. To be honest, many intermediate anglers won’t notice a very big difference. Regardless, you may want to go to your local fly shop to try it out, or just check out online reviews. You may be overwhelmed with all of your options, but the truth is that if you follow the above tips, you’ll very likely get a reel that works just right for your needs. There are a lot of options that will perform well, and it is much easier to choose right than wrong. Many fly fisherman will disagree with the following statement, but for most beginners and intermediate fisherman, you don’t have to break the bank to get a high quality reel that will last years. For under $150 there are hundreds of fantastic options for nearly any fish out there. Have any comments on this post? Let us know! We want to make this as valuable as possible.